If you’re looking to travel in Phuket or around the Andaman coast during your stay here then you need look no further than "Korn Travel Phuket". Korn Travel Phuket offers a complete range of reasonably priced, guided one day or package tours for you to enjoy whether it's around the Andaman Sea region or around the city. We can arrange tours and trips that suit your individual requirements and budgets, including your own specific time period. We want you to relax and have the opportunity to experience the charm of the Andaman Sea and Phuket Island with a VIP service. 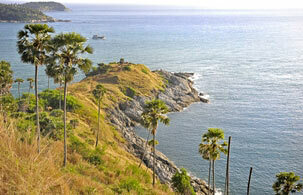 "Enjoy Phuket with a smile with Korn Travel Phuket’s quality tours!"